I thought I'd share a cool story about it. Manolo has been designing furniture for many, many years. It is his passion. He doesn't make these pieces himself, but has a couple of carpenters that turn his designs into a reality. 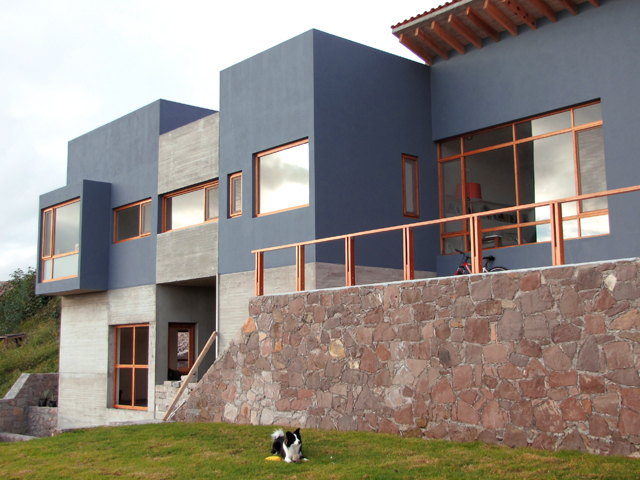 In 2001 we built our first home from scratch, you can see photos of it here. Manolo custom designed all the furniture and woodwork (doors, floors, cabinets, etc...) including the flat file for his home office. We bought the beautiful label holder drawer pulls for it at a Pottery Barn store during a trip to Texas. A year later we sold the house because we were moving back to the US. But that's a whole other story! A young married couple bought the house with all the furniture included. While we were living in California Manolo would occasionally remember his flat file with melancholy and would tell me that that was the only piece of furniture he missed having at home. I actually missed it too, half of the drawers were always filled with my watercolor paper and supplies. To make a very long story short...we came back to Mexico a year and a half later to build our second home right next door to Casa Uno (photos here)! Out of the blue one day, after living in Casa Dos for a couple of months the guy that had bought Casa Uno knocked on the door and asked to speak to Manolo. 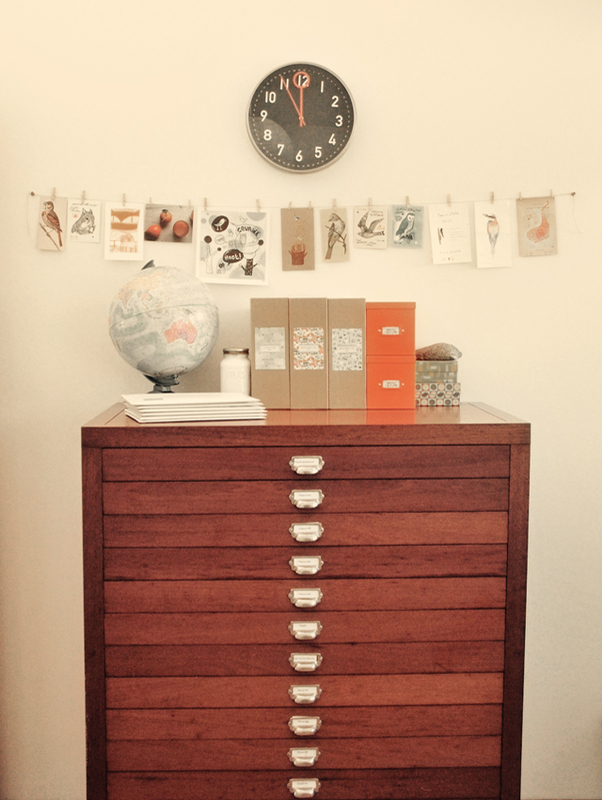 He had come to ask him if he would please take the flat file back because his wife hated the fact that she didn't know what to keep in the awkwardly shallow drawers and had asked him to get rid of the big old thing!!! We just couldn't believe it! He had knocked on our door to give us the flat file back for free because they hated it! but we'll always keep the flat file...it was just meant to be with us. It's living in my studio temporarily until Manolo finishes his own studio. with the pretty square window.